NERC has joined the Biotechnology & Biological Sciences Research Council (BBSRC) and the Medical Research Council (MRC) to support an agreement that will maximise the impact of Europe’s bioscience research data. The agreement confirms the permanent establishment of the UK hub for the European Life-Science Infrastructure for Biological Information, known as ELIXIR. ELIXIR supports European research and development by linking biological data, analytical tools and scientific literature, making them freely available to scientists of all disciplines. Over the last decade, NERC-supported research has generated enormous quantities of biological data through high-throughput technologies in genomics, proteomics, and metabolomics – collectively known as ‘omics. This complex, long-term data is crucial for modelling and predicting environmental change, and it must be effectively managed for its full benefits to be realised. NERC’s support for ELIXIR underscores its recognition of the importance of a coordinated, international effort to manage, upgrade and maintain Europe’s vast quantities of biological data, and to establish and operate sustainable infrastructure to support life science research. BBSRC signed the European Consortium Agreement (ECA) – which will come into force when four further countries sign – on behalf of the UK bioscience research community. The ECA will form the legal basis for ELIXIR, establish an organisational structure and commit the signatories’ support. The UK ELIXIR hub is located alongside the European Bioinformatics Institute (EMBL-EBI) in Cambridge, UK – a world-leading centre for computational biology and long-time champion of open data in the life sciences. ELIXIR links centres of excellence throughout the UK and Europe and, once the ECA is in force, these partnerships will be formalised. 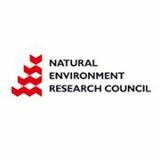 The ELIXIR initiative will strongly complement the recently-established NERC Mathematics & Informatics for Environmental Omic Data Synthesis (Omics) programme, which is coordinated by an Environmental Omics Synthesis Centre (EOS). EOS will bring together ideas, disciplines, people and organisations to harness omics to advance environmental sciences. Through its Omics Data Synthesis programme, NERC is also providing support for independent research fellowships in the priority area of bioinformatics. For full information see this open call.